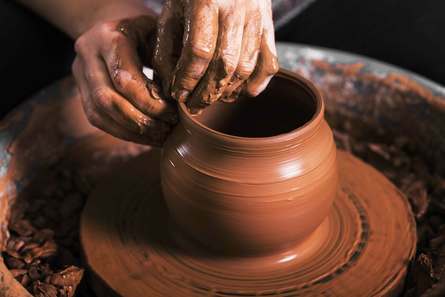 Release your inner potter with a Thomas Powell Pottery Workshop. During the workshop each prospective potter will get to throw on the potter’s wheel and will also decorate two mugs each with their own design, as well as trying their hand at other techniques including coiling and pulling handles. Participants will end the day with a selection of pots which Thomas will take back to his workshop to be glazed and fired in a kiln. The pots will be ready for collection from the Market Place Theatre a few weeks later. Materials are supplied, all you need to bring is suitable clothing for a day of pottery and a touch of creativity.